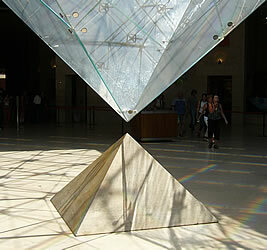 The film "The Da Vinci Code"
It is based on the book of the same name by American author Dan Brown. The prequel to the book is called Angels and Demons, and the sequel will be The Solomon Key. The Da Vinci Code opens with a late-night visit by the police to Robert Langdon, a professor of religious symbology from Harvard University. The curator of the Louvre (Jacques Saunière) has been found dead in the museum's Grand Gallery: his naked body has been arranged in a strange position, a sign is found marked on his body using his own blood, and a cryptic message is found next to the body. Langdon is suspected as the murderer and goes on the run. He is helped by the dead man's grand-daughter Sophie. They try to discover the secrets the curator was trying to protect, which both the Vatican and Opus Dei (a conservative Catholic group) want to keep hidden. An anagram is a rearrangement of letters to form another word or phrase. For example, the word STUNTED is an anagram of the word STUDENT. Two of the puzzles in the film are anagrams. The questions asked by Sir Leigh Teabing test Langdon's knowledge of English traditions. Lemon, not milk, is usually added to Earl Grey tea. 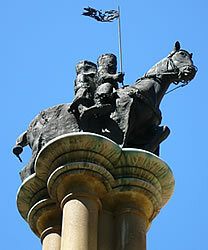 - Temple Church (nearest Tube: Temple; http://www.templechurch.com) was built by the Knights Templar in 1185. Sir Leigh Teabing, Robert Langdon and Sophie Neveu enter this church looking for the missing orb that might reveal the location of the Holy Grail. 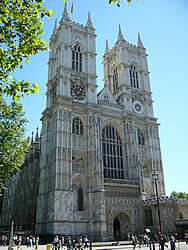 - Westminster Abbey (nearest Tube: Westminster: http://www.westminster-abbey.org) contains the tomb of Isaac Newton, the famous English mathematician who is said to have been inspired to discover gravity by seeing an apple falling from a tree. - Belvoir Castle (http://www.belvoircastle.com): 19th century castle, used for the exterior shots of Castel Gandolfo. - Burghley House (http://www.burghley.co.uk): English stately home in Lincolnshire, used in the film for the interior of Castel Gandolfo. - Lincoln Cathedral (http://www.lincolncathedral.com): the film company couldn't get permission to film inside Westminster Abbey, so the inside of Lincoln Cathedral was used instead. - Rosslyn Chapel, Midlothian (http://www.rosslynchapel.org.uk): a 15th century chapel south of Edinburgh (the capital of Scotland), built by a knight, which contains many symbolic carvings. It is rumoured to have contained the Holy Grail. 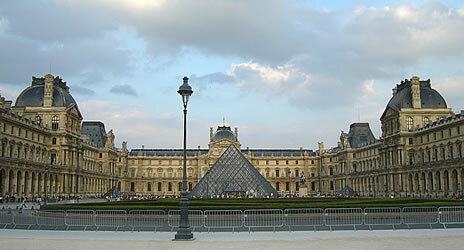 - Louvre Museum (nearest Metro: Palais Royal Musee du Louvre, lines 1 or 7; http://www.louvre.fr): in the story Jacques Saunière is found dead in the Grand Gallery here. 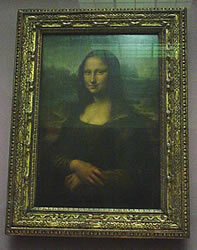 Da Vinci's Mona Lisa can be seen in the Denon wing. 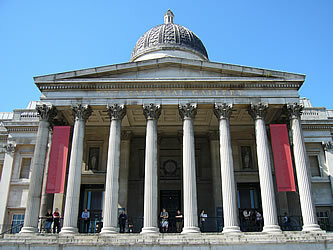 The pyramid entrances to the museum also play an important part in the story. 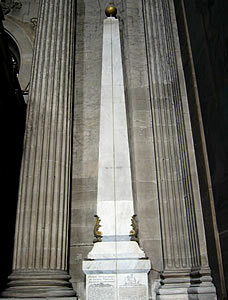 - Saint Sulpice church (nearest Metro: Saint-Sulpice, line 4): See: http://en.wikipedia.org/wiki/Saint-Sulpice_(Paris). The copper line across the floor in this church marks the first prime meridian (called the Rose Line in the book and film) - the international prime meridian was later chosen to be Greenwich (London). The line on the floor marked the first prime meridian. 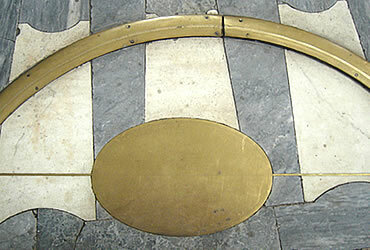 This ellipse is where the sun's rays fell on each equinox.